The Union Cabinet chaired by Prime Minister Narendra Modi, has approved the proposal of the Ministry of Finance to introduce the Fugitive Economic Offenders Bill, 2018 in Parliament. The Bill would help in laying down measures to deter economic offenders from evading the process of Indian law by remaining outside the jurisdiction of Indian courts. The cases where the total value involved in such offences is Rs.100 crore or more will come under the purview of this Bill. 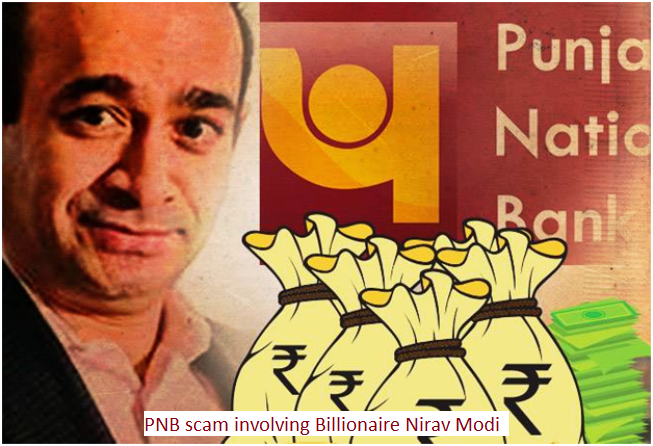 The hurried drafting of the bill and the adoption by the Union cabinet follows public outcry against businessmen like Nirav Modi Vijay Mallaya and Lalit Modi fleeing the country after cheating the nationalized banks to the tune of several thousands of crores. The salient features of the bill include Application before the Special Court for a declaration that an individual is a fugitive economic offender; Attachment of the property of a fugitive economic offender, Issue of a notice by the Special Court to the individual alleged to be a fugitive economic offender, Confiscation of the property of an individual declared as a fugitive economic offender resulting from the proceeds of crime. Confiscation of other property belonging to such offender in India and abroad, including benami property, is entitlement of the fugitive economic offender from defending any civil claim and An Administrator will be appointed to manage and dispose of the confiscated property under the Act. In order to address the lacunae in the present laws and lay down measures to deter economic offenders from evading the process of Indian law by remaining outside the jurisdiction of Indian courts, the Bill is being proposed. The Bill makes provisions for a Court ('Special Court' under the Prevention of Money-laundering Act, 2002) to declare a person as a Fugitive Economic Offender. A Fugitive Economic Offender is a person against whom an arrest warrant has been issued in respect of a scheduled offence and who has left India so as to avoid criminal prosecution, or being abroad, refuses to return to India to face criminal prosecution. A scheduled offence refers to a list of economic offences contained in the Schedule to this Bill. Further, in order to ensure that Courts are not over-burdened with such cases, only those cases where the total value involved in such offences is 100 crore rupees or more, is within the purview of this Bill. there have been several instances of economic offenders fleeing the jurisdiction of Indian courts, anticipating the commencement, or during the pendency, of criminal proceedings. The absence of such offenders from Indian courts has several deleterious consequences - first, it hampers investigation in criminal cases; second, it wastes precious time of courts of law, third, it undermines the rule of law in India. Further, most such cases of economic offences involve non-repayment of bank loans thereby worsening the financial health of the banking sector in India. The existing civil and criminal provisions in law are not entirely adequate to deal with the severity of the problem. It is, therefore, felt necessary to provide an effective, expeditious and constitutionally permissible deterrent to ensure that such actions are curbed. It may be mentioned that the non-conviction-based asset confiscation for corruption-related cases is enabled under provisions of United Nations Convention against Corruption (ratified by India in 2011). The Bill adopts this principle. In view of the above context, a Budget announcement was made by the Government in the Budget 2017-18 that the Government was considering to introduce legislative changes or even a new law to confiscate the assets of such absconders till they submit to the jurisdiction of the appropriate legal forum.